Every month the Friends run a two-hour litter pick of the Park. Folk are welcome to come for half an hour or so if they prefer. It is a very friendly affair, and afterwards we go to the Coffee Room in Grove Road for a free drink and cakes. 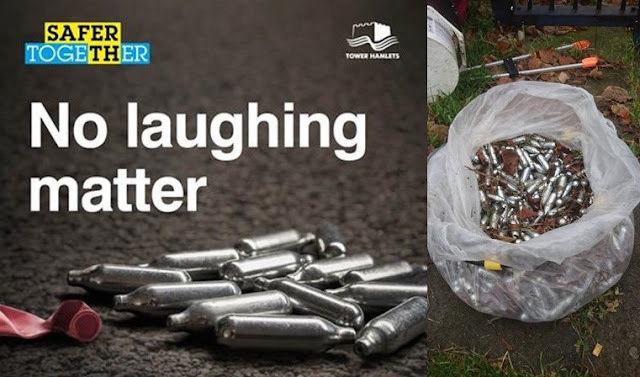 This month we will be looking out for and noting where we find nitro canisters and feeding this info back to the council. This is such a nice act to pick up the litter of the colony and drain it away.We all should learn from this act.